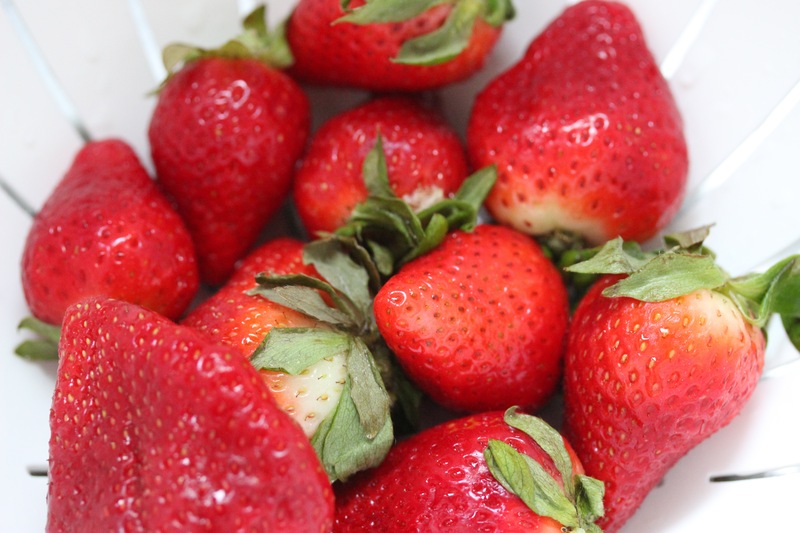 Did you know that California is the nation’s largest producer of strawberries? Its unique weather (warm and sunny during the day, cool and foggy during the night) makes California the perfect environment for growing strawberries.The harvest has its peak in the middle of April, so I took advantage of the strawberry season for cooking up this new recipe : homemade ricotta gnocchi tossed with strawberry cream sauce. An easy dish to make and delicious to taste. Rinse, dry and hull the strawberries. Cut into small pieces and place them in a medium skillet with two cups of water and a pinch of salt. Cook until the water dissolves. Allow to cool then puree the strawberries with a hand blender. 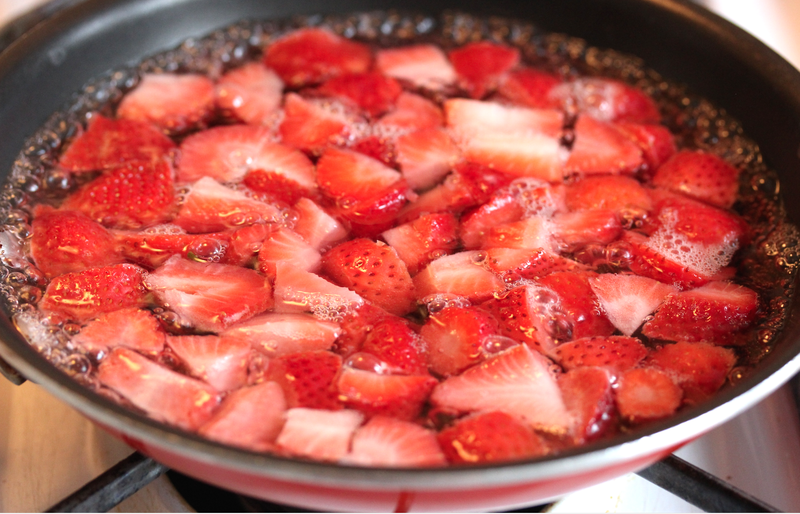 Return the pureed strawberries into the skillet, add one cup of heavy cream and heat for a couple of minutes. In a big mixing bowl, place ricotta cheese, flour, parmesan cheese, egg, nutmeg, salt and pepper. 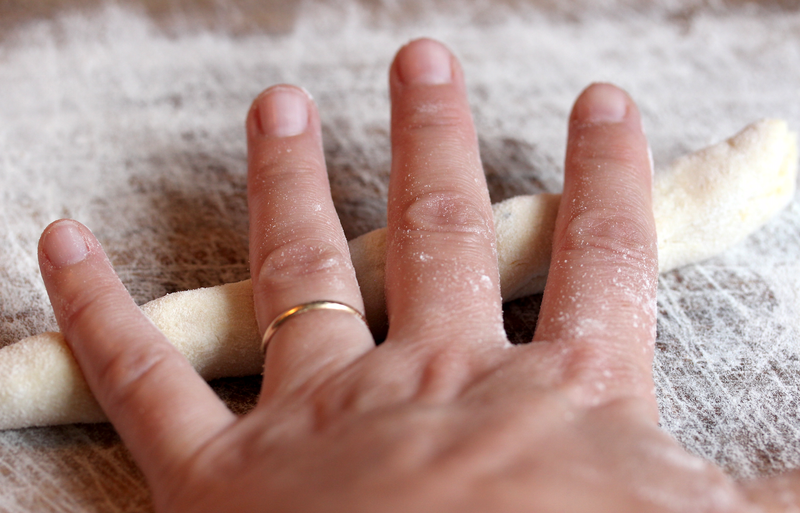 Knead together all the ingredients with your hands until well blended (add a little more flour if the dough is too sticky). Transfer the dough on a floured wooden cut board, roll golf-sized balls of dough into 3/4-inch diameter dowels then cut them into 1-inch long pieces. 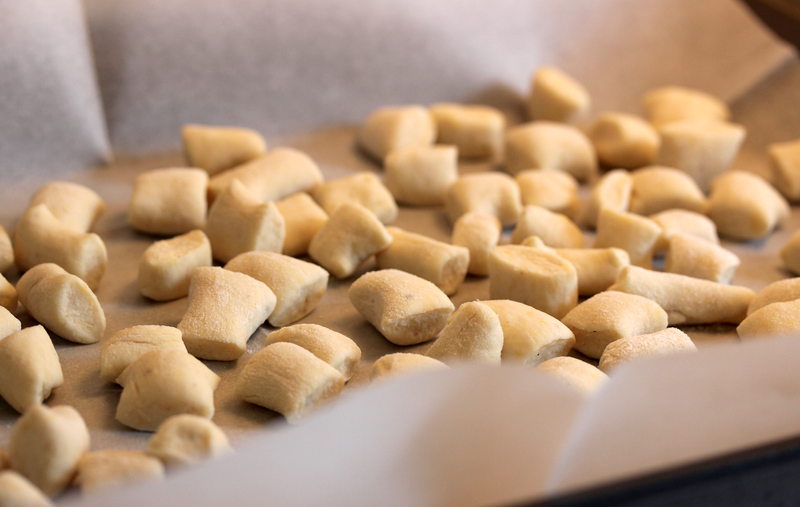 Drop the gnocchi into a pot of boiling salted water and cook until they rise on top of the water (usually 1 minute). 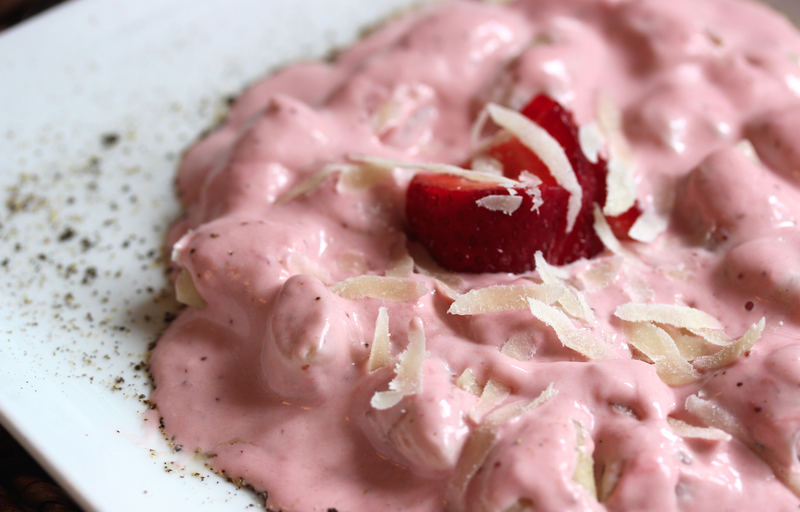 Toss the gnocchi with strawberry cream sauce. Serve warm, sprinkled with Parmigiano Reggiano cheese. This sounds amazing! I thought you might have sweetened the gnocchi, but instead was surprised about the Parmesan. But why not?!! I am sure the result is just as stunning taste-wise as it looks! :O seems like a dessert!